Ahhh, consistency. There's something satisfying about your coffee setup following a cohesive design ethos. 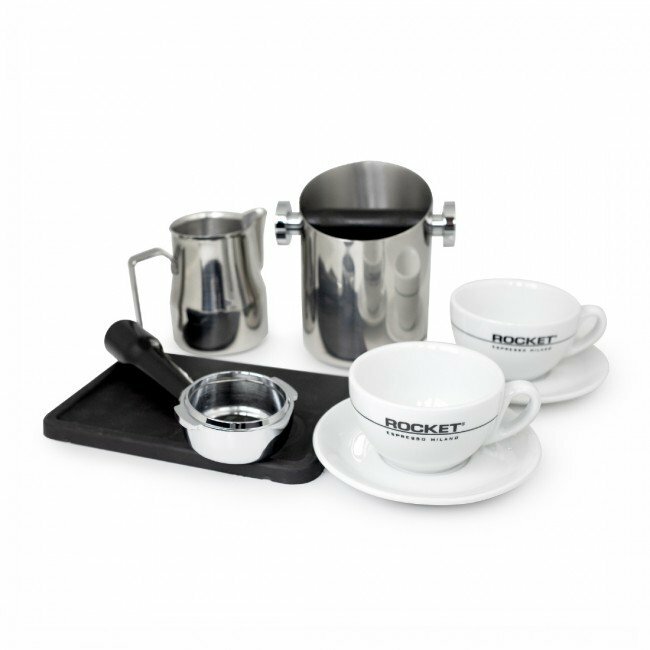 To that end, we're proud to offer this Rocket Espresso Accessory set to complement your kitchen centerpiece. Sourced directly from the Rocket Espresso factory in Milan, you can celebrate kitchen coordination—and make coffee you love—with this collection of Rocket Espresso-branded gear.